Organizers with François Legault's Coalition Pour L'Avenir Du Quebec filed papers Tuesday, setting the stage for the launch of an official political party. 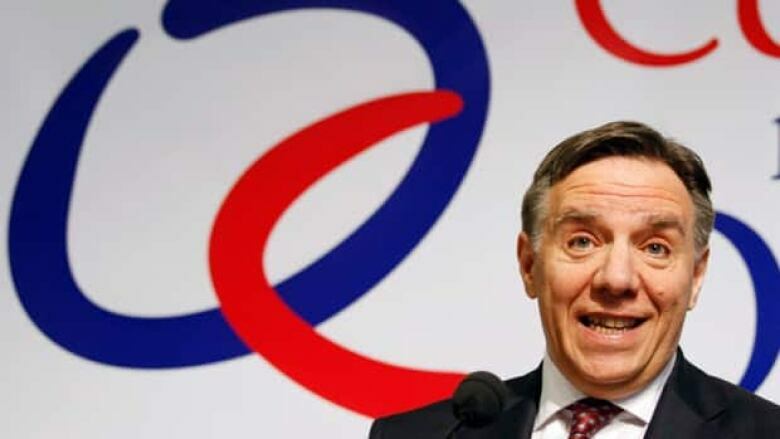 François Legault is one step closer to leading a brand new political party. Organizers filed papers with the province’s Chief Electoral Officer Tuesday, setting the stage for the launch of a new party in a matter of days. For now, the party will share the name of Legault’s organization – Coalition Pour L'Avenir Du Quebec. A spokesperson for Legault said they had to fill in the name portion of the form to establish the party, but the name could change by the official party launch. The former Former Parti Québécois cabinet minister announced the creation of the coalition in February. It was launched as a "working group," comprised of business leaders and politicians who want to foster debate on public policy issues like education and debt reduction. A poll conducted at the end of the summer found that, even without an official political party, Legault had more support among Quebecers than Premier Jean Charest. Politicians from all parties in the National Assembly say they are ready to challenge Legault's controversial proposals, including the abolition of school boards.